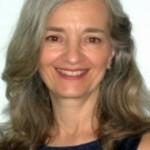 Martha Edwards, Ph.D., is the Founder and Director of the Institute’s Center for the Developing Child & Family. Her expertise focuses on child development in the context of the family, school, and culture; the determinants, outcomes, and processes of parenting; and the integration of body, mind, spirit. She developed a longitudinal prevention program, Bright Beginnings, for infants, toddlers and their families designed to promote infant mental health, school readiness, and the ongoing relational development of children and parents. Bright Beginnings has been implemented in New York City public schools, in community-based organizations, in Early Head Start and Even Start, and with NYC’s Administration for Children’s Services. Dr. Edwards is active in professional organizations, as Vice President and board member of the American Family Therapy Academy, Board member of the Zero to Three New York Network, and advisory editor for Family Process. An Event with an ID of "16832" could not be found. Please contact the event administrator for assistance.